Home / apple / Mobiles / News / smartphones / Specifications / video / iPhone 5 Vs iphone 4S what's new ? San Francisco today acquired the first appearance of the new High end smartphone from Apple, the iPhone 5 to be the first technology news of these days allover the world. Moving more inside the device we will find a powerful new A6 SoC, according to Apple the new chip will be two times faster than the iPhone 4S also with a graphic power two times faster, and consuming less energy than the A5 on iPhone 4S, the camera is 8MP but with faster response time and better image quality in low lights due to more sensors layers used, in addition to three microphones for better recording quality and lower noises, about the software, the new iPhone will come with the all new Apple iOS 6. About the size and weight, the iPhone 5 is built with aluminum, thinner and lighter, with just 7.8mm thikness and 20 percent lighter only 112g. iPhone 5 Vs iPhone 4/4S whats new ? 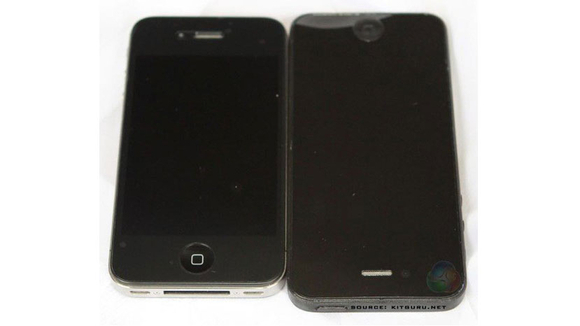 18% thinner and 20% lighter than iPhone 4S. A larger 4-inch Retina display. iOS 6 pre-loaded including Siri support. Ok now lets watch a presentation video about the new baby.